Supporters of West Virginians for Life (WVFL) will gather at the Capitol on Monday, February 18, 2019, from 10:00 a.m. to 2:00 p.m. for annual Pro-Life Rally Day with the main event, a rally, at noon outdoors on the north steps (bell side) of the Capitol. 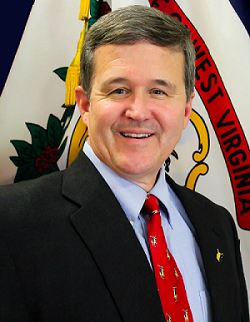 West Virginians for Life is pleased to announce that Senate President Mitch Carmichael will address the crowd as well as Attorney General Patrick Morrisey and Secretary of State Mac Warner. National Right to Life Political Director Karen Cross will speak as well as WVFL President Wanda Franz, Ph.D.
Pro-life legislators will be introduced and petitions presented during the rally. Additionally, the winners of the Teen Essay Contest will read their winning entries. Other highlights include special music from singers Jim Anderton and Frank Tettenburn, plus the annual Prayer Processional with walkers carrying crosses. West Virginians for Life is working to pass SB 307/HB 2493, the Non-Discrimination in Involuntary Denial of Treatment Act. The lead sponsors are Senator Greg Boso and Delegate Ruth Rowan, respectively. This bill will prevent the denial of food and fluids due to discriminatory criteria, such as disability, medical condition, or age. “The Non-Discrimination in Involuntary Denial of Treatment Act will ensure that treatment, nutrition and hydration that could preserve a patient’s life cannot be denied because of discriminatory beliefs, such as the ‘quality of life’ being too poor,” said Dr. Franz.